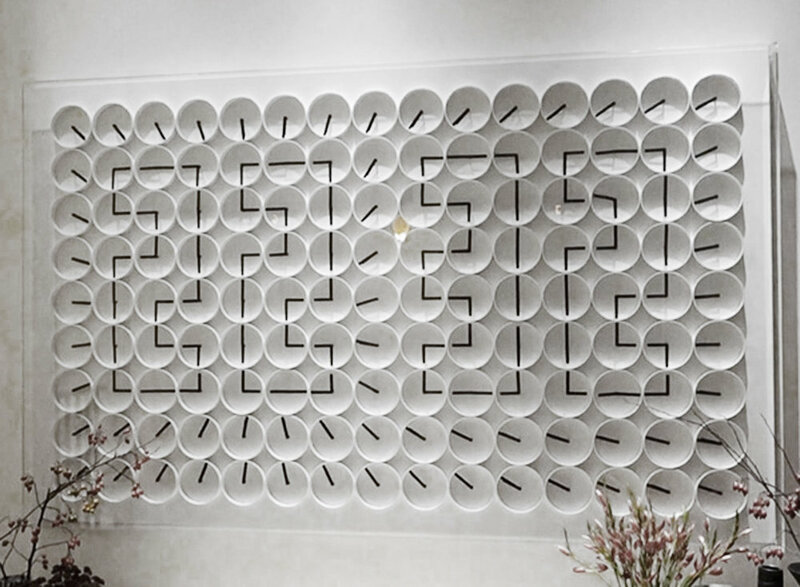 In 2014, studio Humans since 1982 was commissioned by Ham Yard Hotel London to create a customized model of the studio's kinetic A million Times clock project. Read more about the process and thoughts behind the project here. 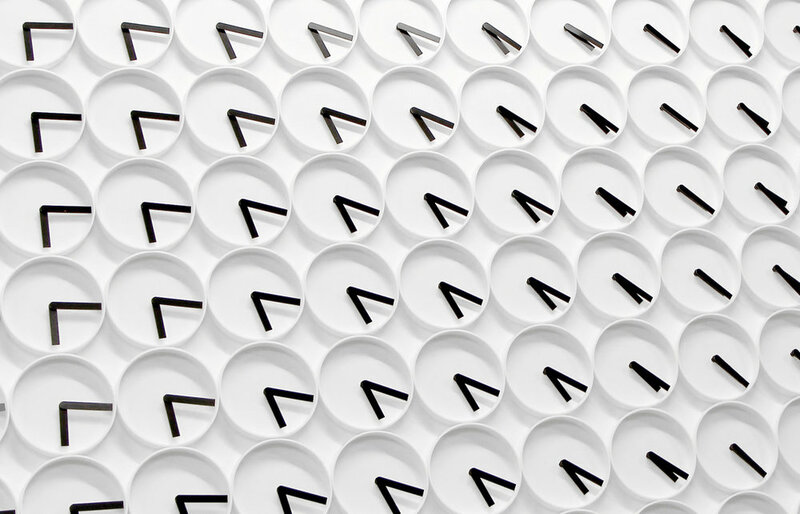 In 2014, studio Humans since 1982 was commissioned by Ham Yard Hotel London to create a customized model of the studio's A million Times project. Read more about the process and thoughts behind the project here. Humans since 1982 are Bastian Bischoff (b. 1982, Germany) and Per Emanuelsson (b. 1982, Sweden). Since meeting as postgraduate students at HDK Gothenburg in 2008, the duo have pushed boundaries across art and design to produce works that defy easy categorisation. Through experiential installations and object-making, Humans since 1982 explore themes of privacy, religious symbolism, preservation, and time.